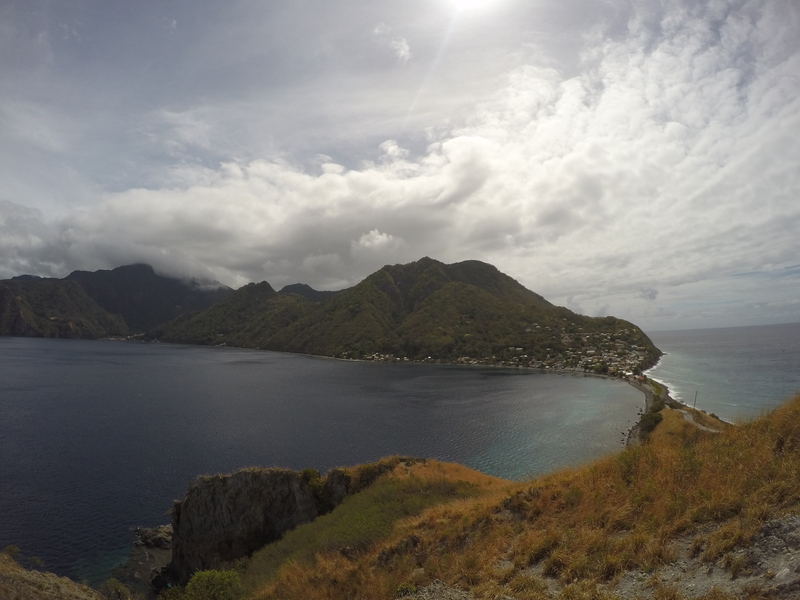 By the time I finally made it to Dominica in the spring of 2015 360MV had already visited the island a handful of times to produce the Nature Island Challenge. 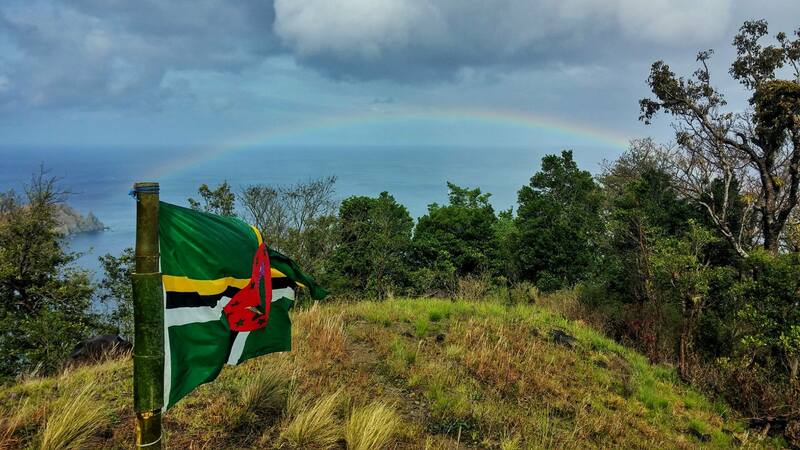 The NIC is a one of-a-kind event designed to showcase the natural beauty and culture of Dominica through an immersive adventure challenge. After each trip our crew would return with stories about how amazing the landscape, the people and the island as a whole were and I was beyond excited to see it for myself. 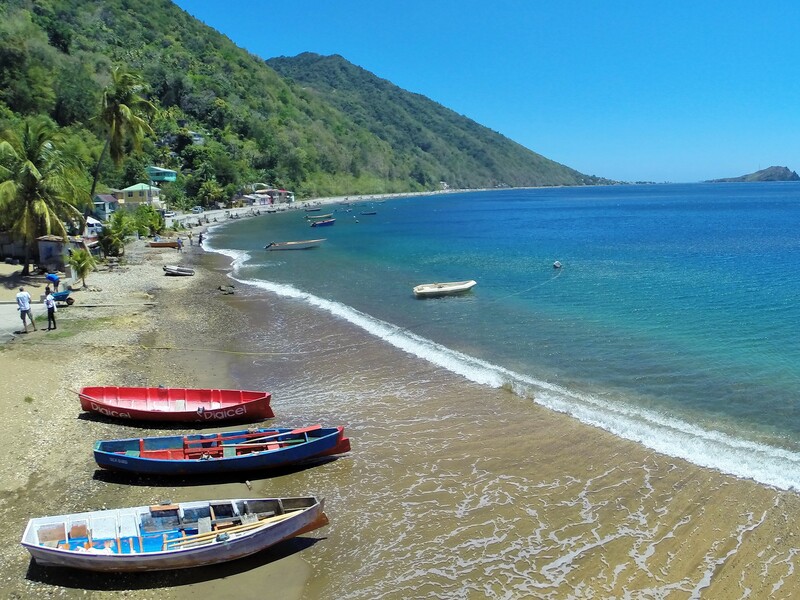 Dominica, while fairly centrally located in the Caribbean is not terribly easy to get to. 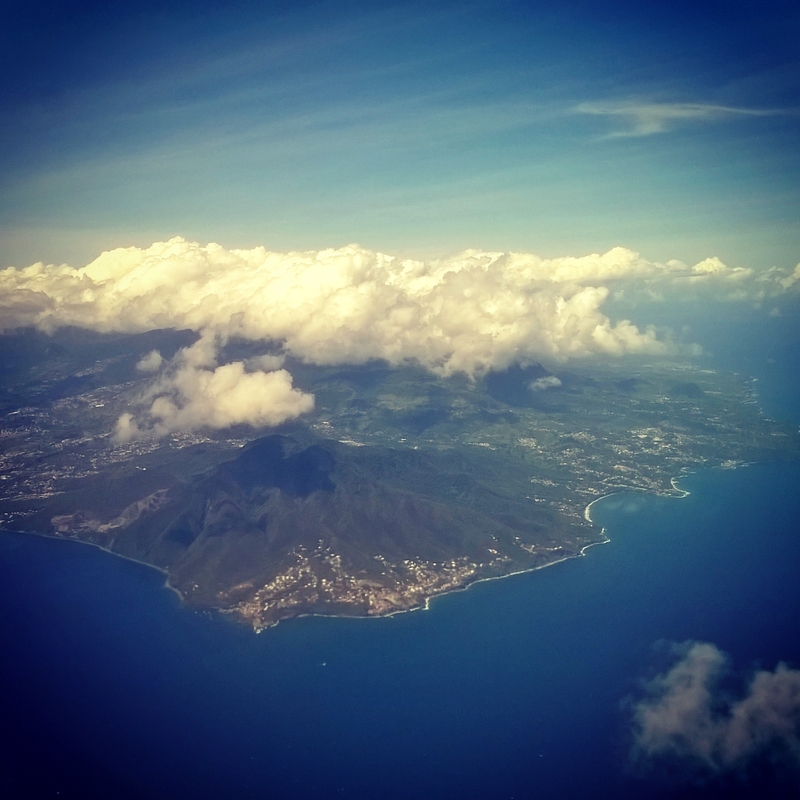 After a long lay-over in Puerto Rico, we took the 90 minute flight to Dominica. The island is largely covered by a multi layered rain forest which you will fly directly over at low altitude in order to reach the small airfield in a descent that the term ‘white knuckle’ does not do justice. 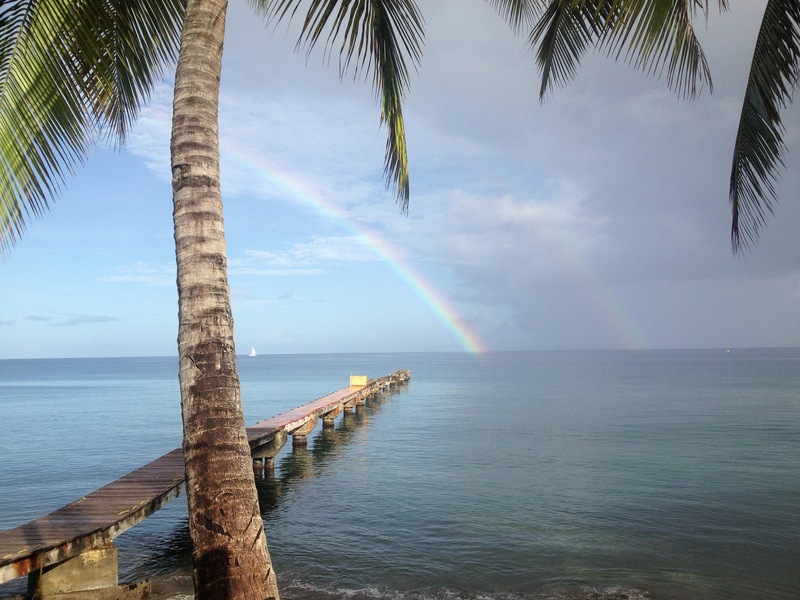 Once safely on the ground we set our course for Roseau, the Island’s capital where we would begin a whirlwind week that would take us to all four corners of the Nature Island. 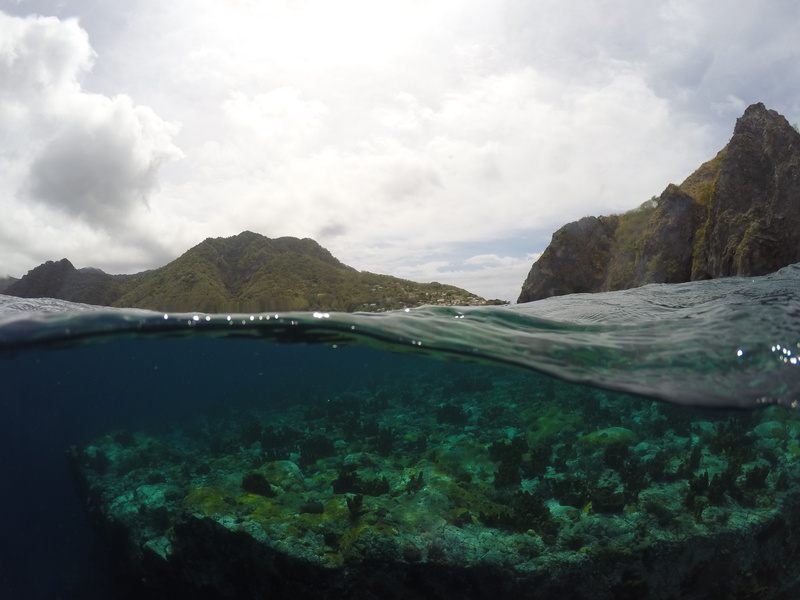 On the first official day of the Nature Island Challenge we started off from Scott’s Head, a peninsula on the southwest coast of the island where the Caribbean Sea and the Atlantic Ocean are separated by only a thin slip of land. After fitting in a quick dive at Scotts Head we climbed to Gallion, a nearby mountain village where we met up with the leading teams and managed to catch a pretty incredible rainbow as well. On day two we arose early and headed to the start of the race at a local school. The entire student body was assembled outside to give the NIC participants an amazing welcome. It was a truly heartwarming moment, one of many that we would experience throughout the trip. 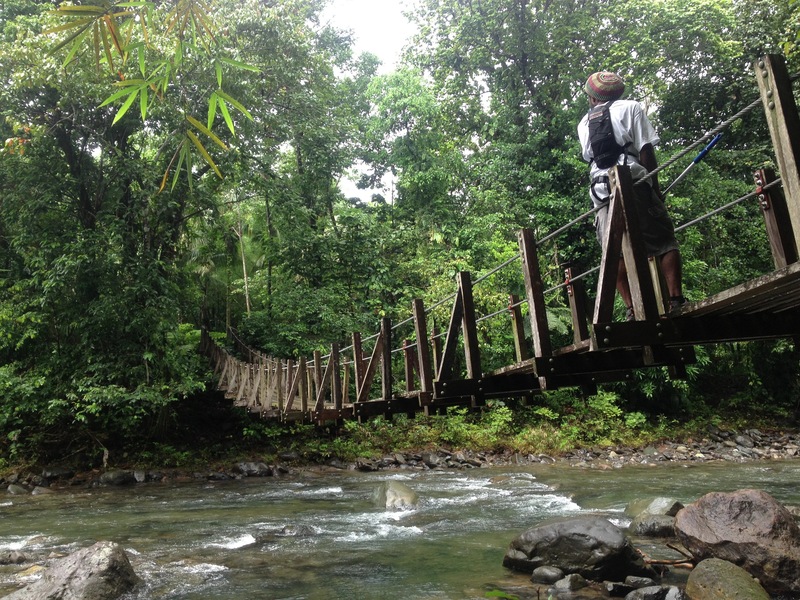 From there the teams headed into the jungle and we followed suit along the Waitukubuli National Trail, Dominica’s incredible 100 mile trail system. Next we headed to the Emerald Pool, a grotto with a 40 foot waterfall located inside the UNESCO World Heritage Site of Morne Trois Piton National Park. Day three brought us to Middleham Falls, another of the seemingly endless natural wonders on island. 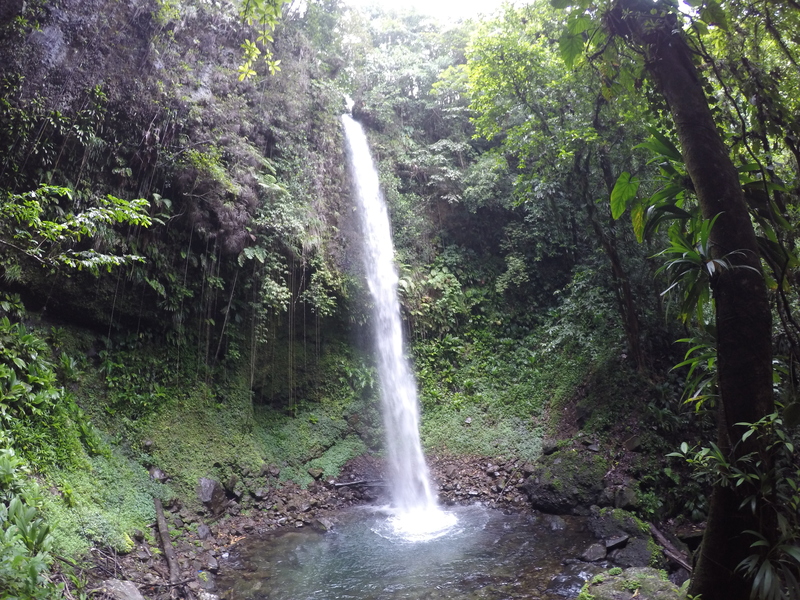 Soaring over 400 feet into the forest canopy, Middleham is one Dominica’s most iconic waterfalls and is absolutely stunning. 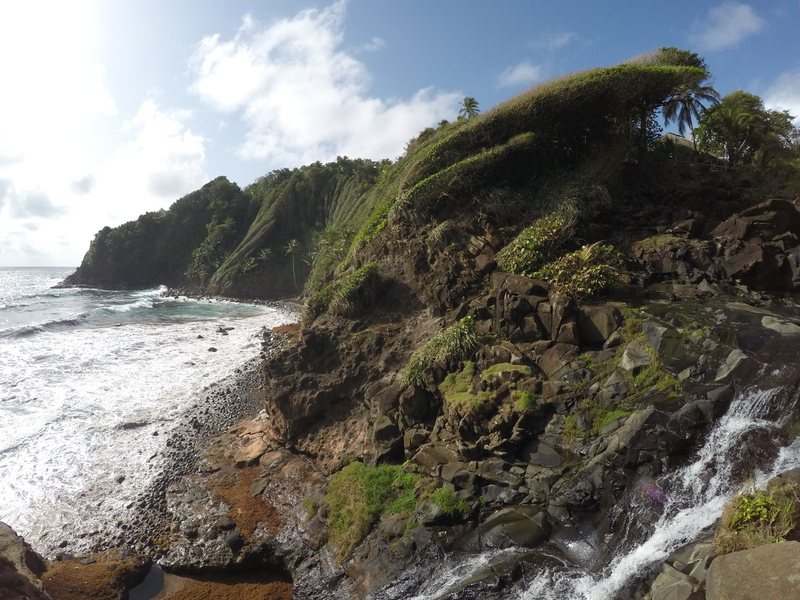 Thus far our trip to Dominica had been graced with blue skies and 80 degree temps and we had mainly kept to the low lying areas of the island. 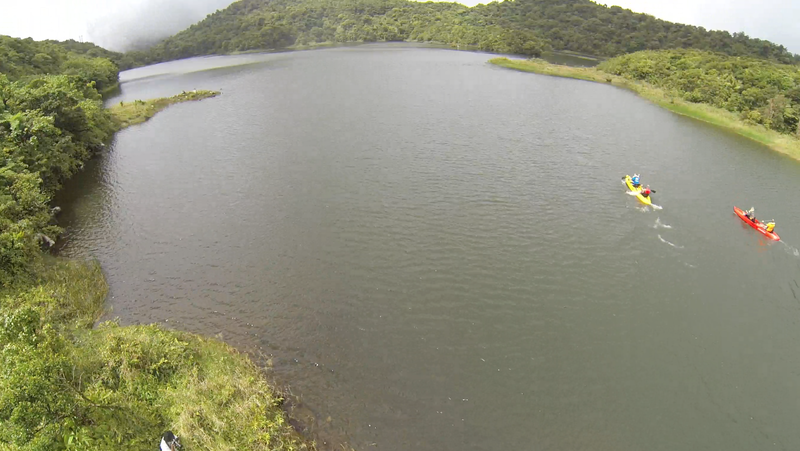 This would all change as we headed to our next stop the Freshwater Lake, high in Dominica’s mountainous rainforest. At almost 2,286 feet above sea level the Lake is almost always surrounded by a fog bank and is one of the wettest places on earth. Because of its elevation and amount of rainfall the Freshwater Lake was one of the few times that we felt the need to don a jacket throughout the entire trip! 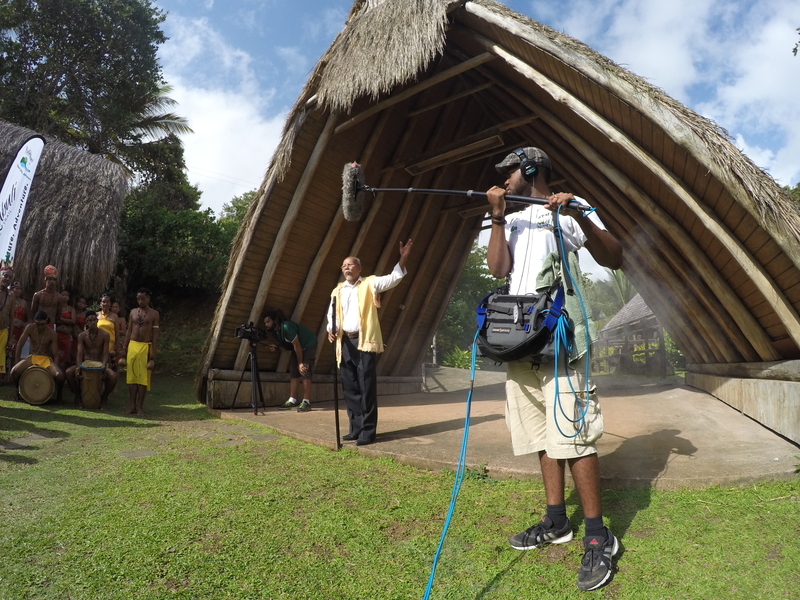 The fourth and final day of the Nature Island Challenge dawned sunny and hot as the field of competitors and our crew headed to the Kalinago Territory, the home of Dominica’s indigenous people. 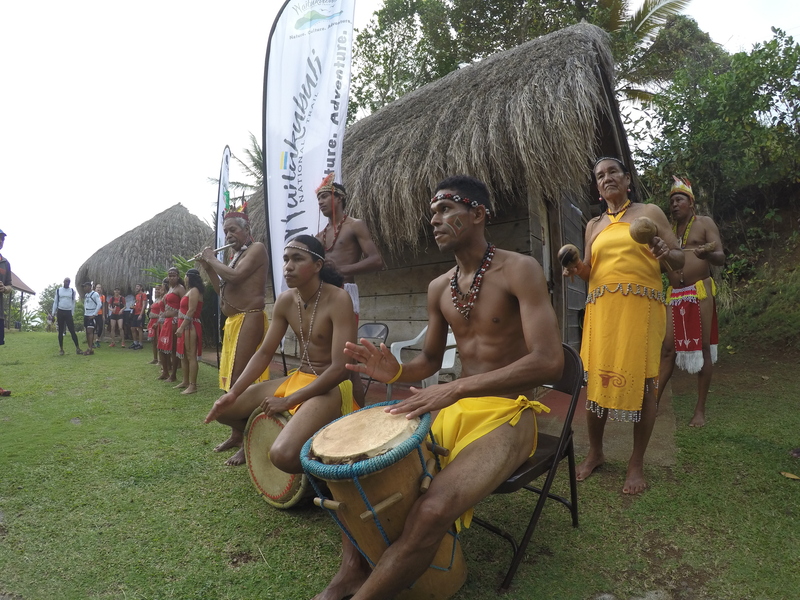 Here, once again, the culture and hospitality of the island left us in awe as we were welcomed to the territory by the current chief of the Kalinago people, who gave the race his blessing. After departing the Kalinago Territory we headed north to intercept the racers after one of the longest stretches on the trail. 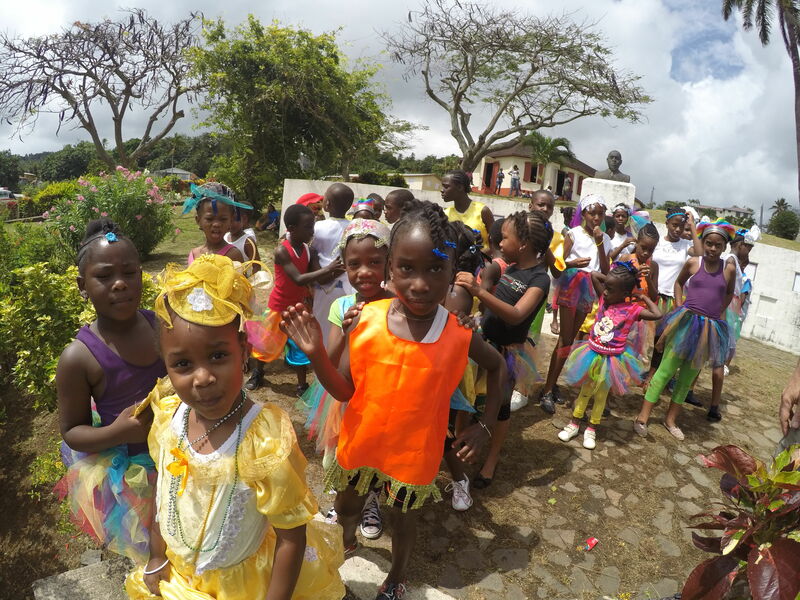 Upon arriving in the town of Marigot we were greeted by local school children who put on an amazing musical performance called the “Sugar Water Jam” utilizing local instruments. 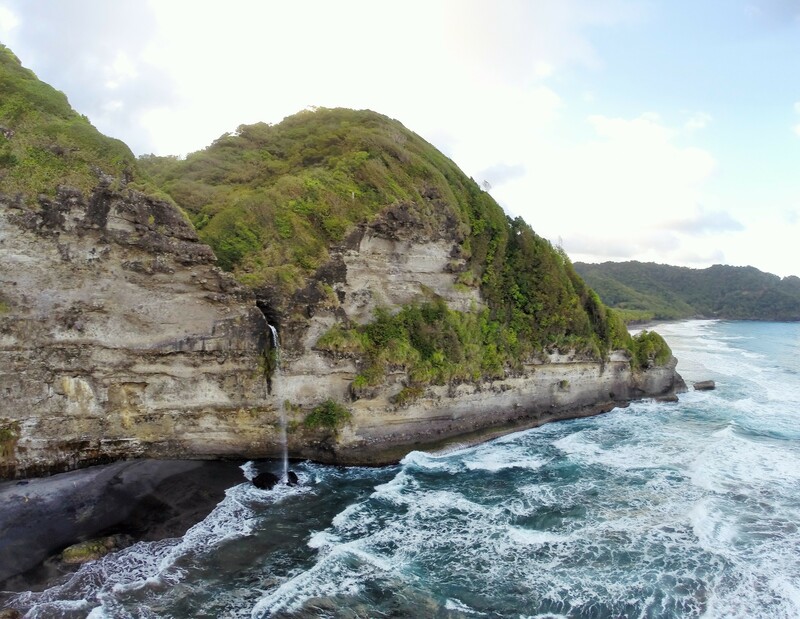 Dominica is a truly amazing spot and I encourage anyone who wants to experience the “real” Caribbean to take the opportunity to check out the Nature Island.